One of the best healthcare experiences I have had. The office was very clean and stylish, the staff friendly and helpful(taking time to explain procedures and results, discuss my insurance benefits and ask me about myself) and there was absolutely no wait. It can be a bit tricky to find--the office is located inside of a Lenscrafters (just to the right when you walk in) on the outside of the mall but I was able to use the mall directory to find it out without much of a problem. One of the best healthcare experiences I have had. The office was very clean and stylish, the staff friendly and helpful (taking time to explain procedures and results, discuss my insurancebenefits and ask me about myself) and there was absolutely no wait. It can be a bit tricky to find--the office is located inside of a Lenscrafters (just to the right when you walk in) on the outside of the mall but I was able to use the mall directory to find it out without much of a problem. Honestly I was a bit skeptical because it was Lens Crafters. But Stephen was awesome, explained everything, and apologizedprofusely for being just 10 minutes late. Their equipment was surprisingly top notch. I paid the extra co-pay for the retinal scan and it was quite worth it, though kinda creepy seeing that far back in your eye. Honestly I was a bit skeptical because it was Lens Crafters. But Stephen was awesome, explained everything, and apologized profusely for being just 10 minutes late. Their equipmentwas surprisingly top notch. I paid the extra co-pay for the retinal scan and it was quite worth it, though kinda creepy seeing that far back in your eye. 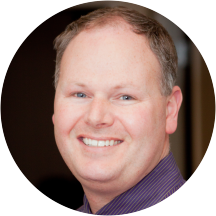 Originally from Vancouver, Canada, Dr. Nevett graduated from Pacific University in the spring of 1999. He has worked in a variety of settings including hospital eye clinics, Refractive Surgery centers, and most recently as Clinical Director at a large Ophthalmology practice in Dallas, Texas. His extensive background in disease allows him to not only serve the visual needs of his patients, but also the health aspects of his patients. Dr. Nevett is excited to have returned to the Northwest and looks forward to serving his patients with the utmost of professionalism and care. Every one was super nice and friendly, and I was in and out really quick! Very nice staff. I was in and out in 30 minutes. Very efficient. Staff was very friendly. Didnt see the MD i thought I was scheduled to see, but no big deal. Dr. Stephen was very thorough with his examination process. He explained everything in great detail. Dr. Nevett was great - very professional and personable at the same time. The office staff also worked hard to get everything covered by insurance (I had double coverage, which they took care of.) My one complaint is that the officeis hard to find. It's in the LensCrafters at the mall, and the website really didn't make that clear. I got a bit lost on my way, although a very patient woman on the phone walked me through directions. I was seen by Dr. Priya Subramanian. She was very nice and worked well with me to find the best prescription for my eyes. Seemingly , only interested in selling merchandise , any merchandise !... despite being billed as specializing all aspects of eye care and disease . He and his staff really pushed every out-of-pocket option , not covered by insurance . Was quite personable and professional.